Illustrated above are drawings showing a laboratory scale: (1) Falling Film Evaporator; (2) Wiped Film Evaporator; and (3) Short Path Evaporator. 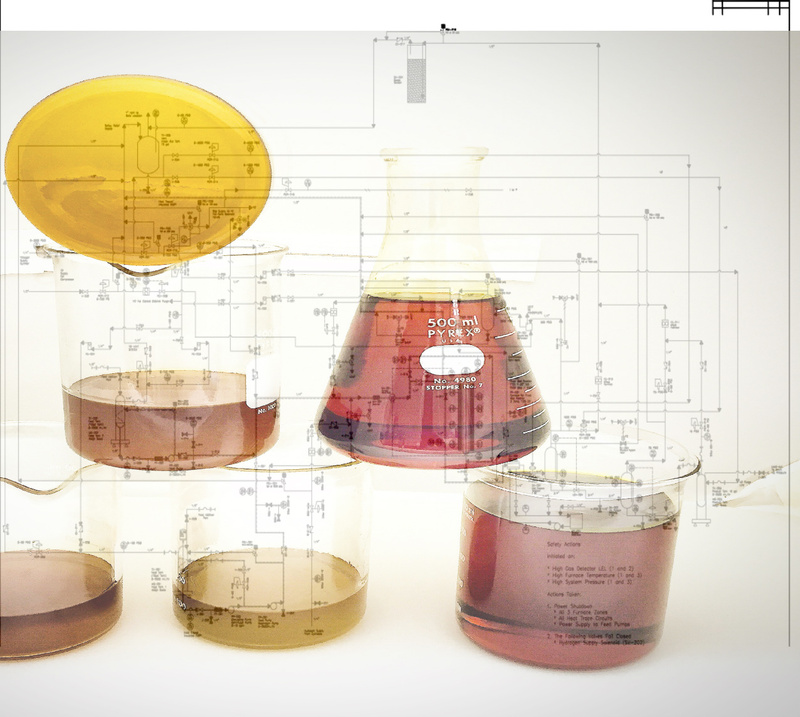 The FFL Series of Laboratory FFE Systems (FFL signifies “Falling Film Laboratory) are typically configured similar to the above illustration. Generally the Falling Film Evaporators have no moving parts (like wiper systems) and rely on a dispersion plate to facilitate film formation with continuity. Note condenser is external to evaporator. The RFL Series of Laboratory WFE Systems (RFL signifies “Rolled Film Laboratory, also know as Wiped Film) are typically configured similar to the above illustration. Rollers are used as an alternative to wiper blades with the added benefit of additional evaporative surface and an agitation effect which facilitates the evaporative process. Note condenser is external to evaporator. The KDL Series of Laboratory Short Path Evaporator Systems (KDL signifies “Knudsen Distillator Laboratory) are typically configured similar to the above illustration. Similar to the RFL type evaporator, Rollers are used as an alternative to wiper blades with the added benefit of additional evaporative surface and an agitation effect which facilitates the evaporative process. Note con- denser is internal to evaporator reducing molecular impedance to high vacuum. Promotes higher distillation rates as the roller’s extended surface increases the evaporator’s theoretical surface area by 15% – 25%. Minimizes wiper maintenance and wear-and-tear on the evaporator with a simple roller mechanism which rarely fails. No bottom seals are necessary which minimizes the potential for vacuum leaks. The special wiper system used in the Rolled Film evaporators and Short Path evaporators has proven its tremendous advantages in many applications over the years. The roller system consists of a cylindrical “basket”, composed of guide rods on which rollers are fixed. The rollers are made of a glass fiber rein- forced PTFE compound. The roller wiper system is driven by a motor from outside the distillation chamber. The centrifugal force presses these rollers into the liquid film flow- ing downward. Since there is no mechanical load on the evaporation surface, scratches and “fouling” are avoided. The roller wiper system guarantees a uniform, laminar mixing of the film on the entire evaporator surface. Due to overlapping of the rollers and wiping on the unheated areas, so-called “dead-zones” are avoided. At the same time, the liquid film on the rollers is continuously renewed. This results in a very low residence time of the evaporating distillate on the evaporator surface. Build-up or caking of material on the evaporator surface and on the rollers, which might happen with other wiping systems, is completely avoided with the roller wiper system. The large clearance between rollers and guide rods facilitates a “floating roller” which assures an even distribution of the feed material on the evaporator without causing damage to the evaporator. The necessity for a bottom bearing for the wiper basket is precluded by the floating action of the roller, so problems related to product penetrating into the lower bearing, or vacuum leaks through the bearing are eliminated. The Rolled Film Evaporator is used in conjunction with an external condenser. The RFE serves as an excellent degasser or for stripping slightly volatile compounds including water, alcohols, aromatic and aliphatic solvents, esters and other similar chemical compounds. RFE are often employed upstream of higher vacuum short path evaporators to remove volatile compounds and facilitate higher feed rates in the short path equipment. The normal operating conditions of RFE are similar to other vacuum tight WFE’s, and distillation may be conducted at atmospheric equivalent boiling points as high as 500°C. Actual operating conditions of the evaporator are typically as high as 350°C, with vacuum levels of 1.0 – 5.0 mbar, provided the external condenser and the vacuum set are designed complementary to the volatility of the material.